The subject matter of the displayed artworks are all related to Landscapes both literally and figuratively. CVAC is excited to reveal the breadth of interests and investigations from our participants within this juried exhibition. Our juror, Dino Massaroni had the difficult job of jurying the submissions and selecting the Best of Show, Second-place, Third-place and honorable mentions of this exhibition. This exhibition opens to the public on Tuesday, August 28th and runs through September 27th. 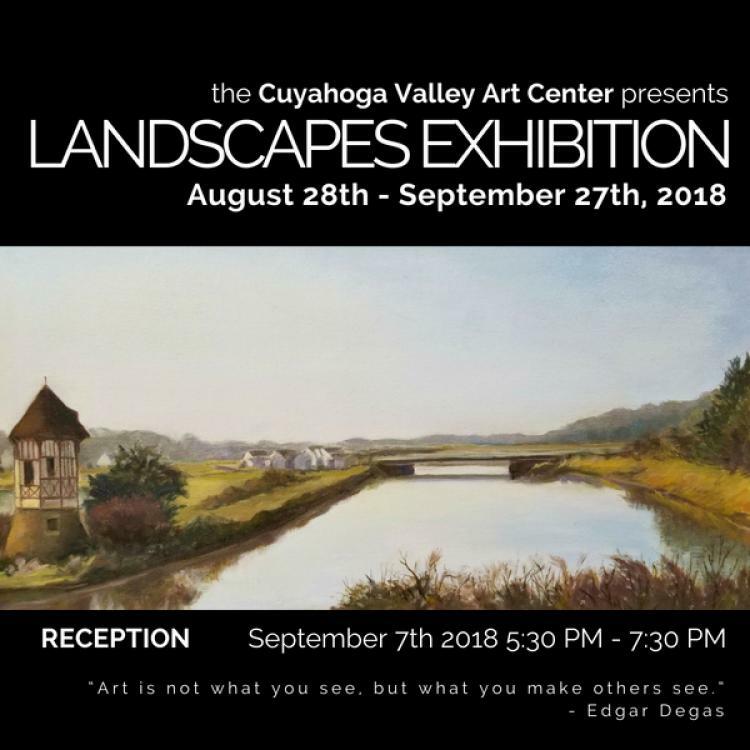 Awards will be distributed as the winners are celebrated during the Landscapes Exhibition reception on September 7th from 5:30-7:00 PM. Patrons will have the opportunity to mingle with the artists, enjoy refreshments and hors d'oeuvres and purchase art during this free reception.